We think she has one of the most distinctive and best voices in dance music. She’s also pretty damn hot too, but we say that with no disrespect and without detracting from her obvious vocal talents. Nadia Ali’s voice is sensational and lends itself to a 4/4 beat with utter perfection, probably the reason she has supplied the vocals on some of dance music’s biggest tracks. 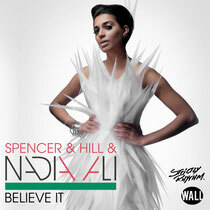 With her latest track, ‘Believe It’, with Spencer & Hill, out now, thanks to Strictly Rhythm, we catch up with Nadia to talk music, DJs, influences and collaborations. Hi Nadia, your new single is called ‘Believe It’, what is the idea behind the track and how did the collaboration with Spencer & Hill come about? Spencer & Hill did a remix of my collaboration with Sultan & Ned Shephard entitled ‘Call My Name’. I loved the result and so when they approached me to do a collaboration with them I was very open to it. They said they were looking for a song that had a very fun vibe to it so I just wrote some lyrics about how it's important to unwind after working hard because it's easy to lose the sight of the work-life balance. Also, I wanted there to be a positive message to everyone. You can really do anything you put your mind to as long as you believe in yourself. You've got some massive collaborations up your sleeve, working with Armin van Buuren, Sultan & Ned Shephard and EDX, how do you choose who you work with? First thing I look for in a collaborator is the quality of their productions and whether or not I am honestly a fan of their sound. Secondly, it has to work as far as timing for both of our schedules. There have been plenty of times where I would have liked to work with a certain artist but because both of our touring schedules are not in sync it doesn't always work out. How did you get in to the music scene and how did you end up working in dance music? I've been singing ever since I was a child. I never planned working in dance music though. It was a fluke to be honest. I was a club kid and I loved listening to dance music ever since I was a teenager. I was working with my producer on more hip-hop driven beats but I asked him to try a dance beat for fun. We recorded one and it turned out to be a huge hit. That song was ‘Rapture’. I get most of my inspiration from real life experiences but sometimes if I have a really interesting conversation with someone and they share something that they've been going through, that also serves as good inspiration for songwriting. You have been described as the diva of the current global dance explosion, how does that feel? I do feel very blessed to be in such a unique position in my industry. One of the highlights for me was the International Dance Music Awards earlier this year when I performed an acapella version of ‘Rapture’ into a full on performance of ‘Pressure’. I also won two awards that night and felt so appreciated amongst my peers. ‘Rapture’ was remixed by one of the biggest DJs of this year, Avicii, and it became a huge hit again. How did the remix come about and did you meet Avicii? I was in touch with Avicii's manager, Ash, and I remember he had told me how much he admired that song. I already had a really cool remix done by Tristan Garner but I wanted something a little more commercial as part of the overall remix package. Tim Bergling aka Avicii was on tour and did the remix while he was on trains and airplanes but got the job done and as we all know now, he re-ignited the song for the younger generation of dance music lovers. I actually didn't meet Avicii until months after he had finished the remix. You have quite a collection of club smash hits including ‘Pressure’ and ‘Rapture’, what’s your secret? I just bring it from the heart. My songs come from personal experience and what seems like premonitions. Logistically I'm most in my creative zone when I'm writing in my studio. It's my wonderland! Dance music has become massive in the US over the last year, why do you think that is? Actually I was walking in the airport today and saw Deadmau5 on the cover of Rolling Stone. The entire issue is dedicated to EDM (Electronic Dance Music). I'm shocked. I think the music industry has always been cyclical and historically you've had booms in different formats; the disco era, the grunge era, the hip-hop era etc. Electronic dance music is finally having its time. However because the majority of this music is made on computers, I really do believe it's here to stay. Our world is in a technological utopia and there are younger and younger kids making incredible music. Dance music as we know it today will probably sound completely different in five years, 10 years and definitely 20 years time but I think its origins are eternal. It is a very hard question to answer but Egypt is one of my favourite places in the world to perform. I love the energy of the fans in the country and I've been fortunate to perform in some very exotic backdrops while I have performed in Egypt. Who’s your favorite DJ at the moment? This is a tough one. I will tell you two of my favorites right now - Tommy Trash and Diplo. Both have an original sound and when they spin live I find myself dancing through the whole set. They're not too commercial and switch things up throughout their sets. Believe it or not, although there are a lot of amazing EDM producers/DJs that I would love to work with, my dream collaboration would have to be with Bono from U2! I have loved his voice ever since I was a child and he's been a huge influence in my musical career. What’s your longtime goal in your musical career? That line between dance music and other genres is quickly diminishing, and personally I'm ready to grow as an artist. In the long run, I would love to start writing and collaborating with artists in different formats and I think I can bring a different style of songwriting to other genres. I'll always stay true to my dance roots though! There are a lot of women out there trying to break in the scene, what advice would you give them? Just do it! (I swear I'm not sponsored by Nike, ha ha!) The EDM world is a male dominated and DJ dominated industry and that's a double-edged sword. On one hand, I stand out because I'm a female singer/songwriter. On the other hand, I am also treated as competition. In all honestly, you really have to get up every morning and feed your passion. My work is music and music is my life. That's how it should feel, always. 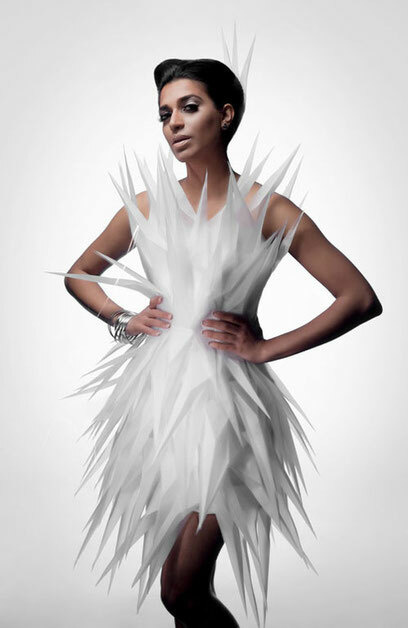 What’s next for Nadia Ali? I'm looking at incorporating some live instrumentation into some future recordings and experimenting with some more traditional indie sounds. I'm also in the middle of expanding my live production and taking a bigger show on the road! Personally, I'm really excited about my move to Los Angeles. It's a brand new city and such an amazing new energy for me.